Weight loss surgery is both complex and costly. For example, the average cost for the gastric bypass procedure ranges from $18,000 to $35,000, while the average cost for adjustable gastric banding with Lap-Band ranges from $17,000 to $30,000. The cost of gastric bypass surgery generally comprises the pre-op lab and X-ray fees, anesthesia, hospital facility and surgeon’s fee. These costs vary based on the extent of the procedure and length of recovery. Post-procedure costs are additional, such as for dietary plans, a fitness regimen, behavioral modification, nutritional supplementation and body contouring surgeries to remove excess skin, lift sagging body areas (body lift) and improve loose muscles or treat fat deposits. Since gastric bypass is a complex surgery, with more than one method, many variables and recovery issues, costs can escalate quickly. The cost of adjustable gastric banding generally comprises the hospital facility fee, the surgeon’s fee, pre-op lab and X-ray fees and follow-up appointments for adjustments or fills during the first year after gastric banding surgery. Post-procedure costs are additional, and may include behavior, exercise and diet counseling, follow-up visits after the first year and additional body contouring surgeries, and can escalate quickly. 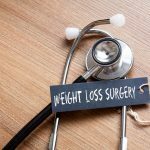 Other types of weight loss surgery including the gastric sleeve surgery and duodenal switch surgery involve some of the same primary costs as gastric bypass and gastric banding, but they also have some additional variables that may affect the price. In addition, a new wave of minimally invasive bariatric surgeries will likely comprise their own set of cost variables and price points. When evaluating weight loss surgery cost, remember that after your procedure, additional plastic surgery may be necessary. Other issues after surgery to consider are liposuction, labiaplasty, tummy tuck or breast augmentation cost. These follow-up procedures are usually delayed until one to two years after your bariatric surgery. With regard to follow-up plastic surgery procedures, the more skin and fat to be removed, the longer the surgical time requirement and the higher the cost. The facility used for surgery impacts cost as well. You should discuss these procedures and the additional costs with your doctor. 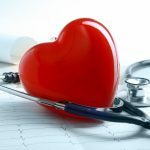 Health insurance providers including Medicare and, in some states, Medicaid, are beginning to cover some or all of the costs of surgery for obesity if medical necessity is established by your doctor and if you meet the National Institutes of Healthrequirements. Most cases of chronic morbid obesity (especially with a body mass index above 40) are covered if your doctor informs the insurance company that the surgery is medically necessary and provides appropriate documentation, including records of your doctor-supervised attempts to lose weight such as drug therapy and group therapy. 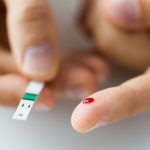 Coverage is also more likely if your doctor demonstrates that you suffer comorbidities such as diabetes or heart disease. Your doctor can help you put together a strong case that will improve your chances of weight loss surgery insurance coverage. Coverage will vary among insurance carriers. If the initial attempt to authorize coverage is denied, you can appeal the decision; you should initiate your appeal immediately. Aftercare insurance reimbursements for a dietician, psychologist, exercise program and nutritional supplements such as vitamin B12 injections may be minimal, if covered at all. Fees vary by region. Surgery fees are typically higher in urban areas, such as Boston, New York, and other Eastern seaboard cities. Overhead is higher in such areas, and surgeons are in greater demand in more densely populated areas. The highest cost region is in the northeast United States, followed by the West Coast, then the central and southern states. However, the top surgeons in every region typically demand, and receive, higher fees. They are often more skilled, have performed more surgeries and have a better record of successful results. Many bariatric physicians and plastic surgeons offer payment plans to help you manage the cost of your weight loss surgery. Many practices are also familiar with medical financing companies and can provide information. The surgeon or a staff member should be able to answer your questions about treatment costs and fitting a payment plan into your budget.